Renowned Tasmanian journalist, Geoff Poulter, considered Max Griffiths one of the ten best players from Tasmania never to have played in the VFL/AFL. 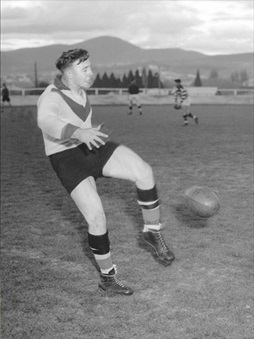 Griffiths kicked 19 goals in two Tasmanian state matches against the ACT and NSW in 1955. After a short stint in the NWFU the brilliant forward retired to country football in the 1960s.